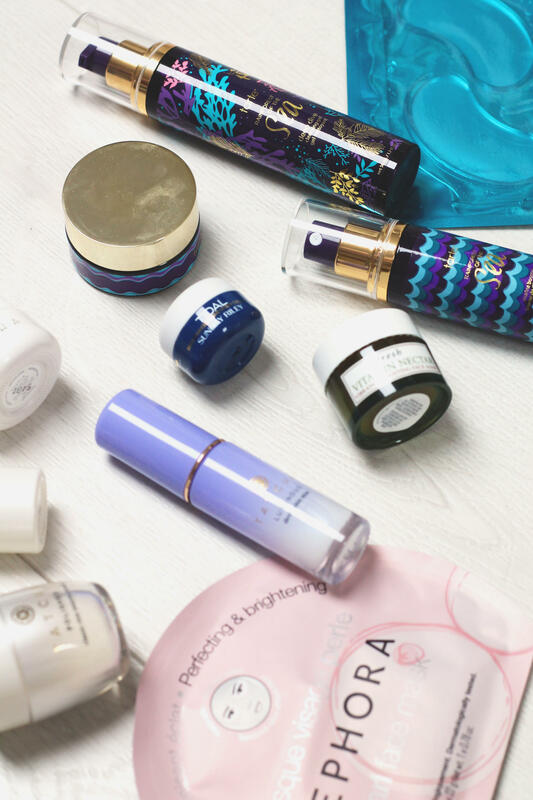 Time to share the skincare goodies that I picked up in New York! I visited a lot of Sephoras whilst out in the states, you have to go to at least 4, right? My favourite was the one on 5th Avenue, it’s big and feels less overwhelming. Whilst we were away, my sister and I tried out one of the Sephora sheet masks ($6) and I fell in love with the pearl one. It made my skin glow, whilst brightening and perfecting my skin. I had to pick up another to bring home for when my skin needed another pick me up. I also picked up the Sephora Collection makeup wipes in rose($7.50), I wanted these for the plane home as I needed something quick and easy to take my makeup off. These smell amazing, however they really stung my eyes and under eye area. Tarte is a brand that i’ve want to try regarding skincare for a while now, their hydration vacation skincare travel set ($29) was a perfect way to try out their rainforest of the sea collection. I’ve tried the moisturising gel and the boosting mist, they’re both incredible, my skin feels hydrated and glowy. I will be doing a full review soon. Another skincare set that i’ve had my eye on recently is the Tatcha Best sellers set ($62). I love Tatcha as a brand, their products are luxurious, glow-giving and brightening. I’ve tried and tested the Luminous dewy skin mist, its the perfect skin pick me up with added skincare benefits. I will be doing a full review on this set soon. I picked up the Tarte Rainforest of the sea marine boosting mist ($12) at the till, before I picked up the skincare set. I tried this whilst I was alway and it encouraged me to pick up the travel set. I am currently a VIB at Sephora, which means I spend way too much money, however it is a points system which you can collect and earn rewards. 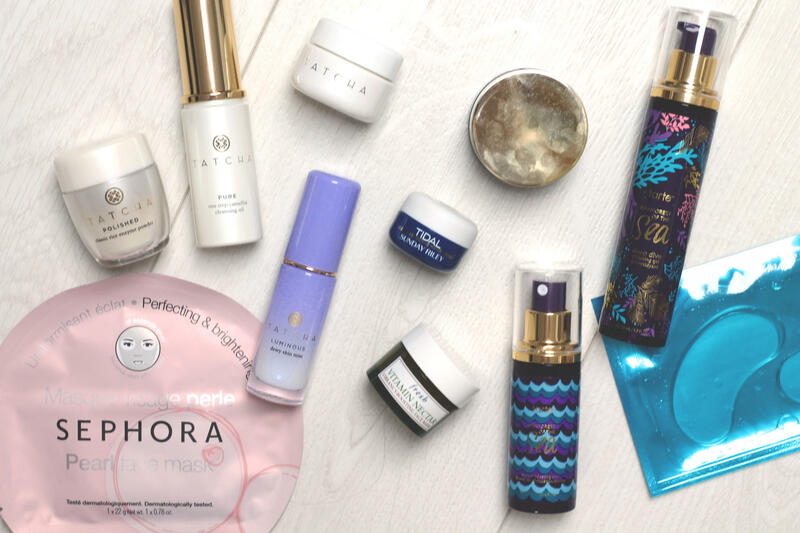 This time around I picked the Sunday Riley Tidal and Fresh Vitamin nectar vibrancy boosting face mask as my 100 point perks. I don’t normally use my points but seeing as they have an expiry date, I don’t know when I’m next going to be in the states to redeem them. I’ve managed to spend a lot of money in Sephora recently, I really need to stop spending. What do I need from Sephora next?